the pumpkin is automatically indeed associated with the entire fall season, not only used in various delicious recipes, but also as a home décor. 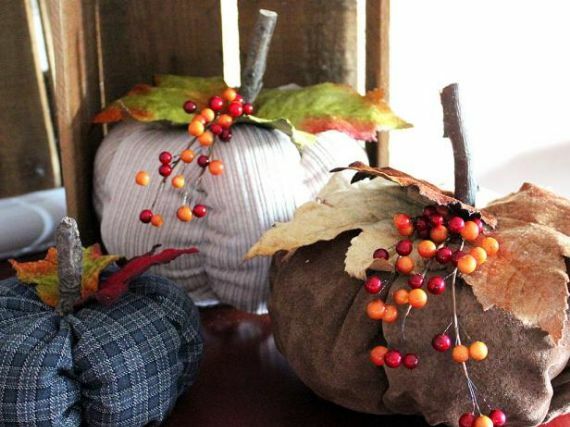 41 Ways to Decorate for Fall, Halloween and Thanksgiving With Pumpkins…the pumpkin is automatically indeed associated with the entire fall season, not only used in various delicious recipes, but also as a home décor. 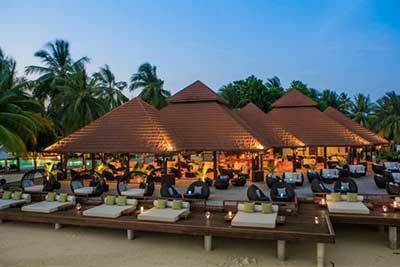 They are available in different colors, shapes and sizes forming colorful splashes of color for many occasions coming through the season. 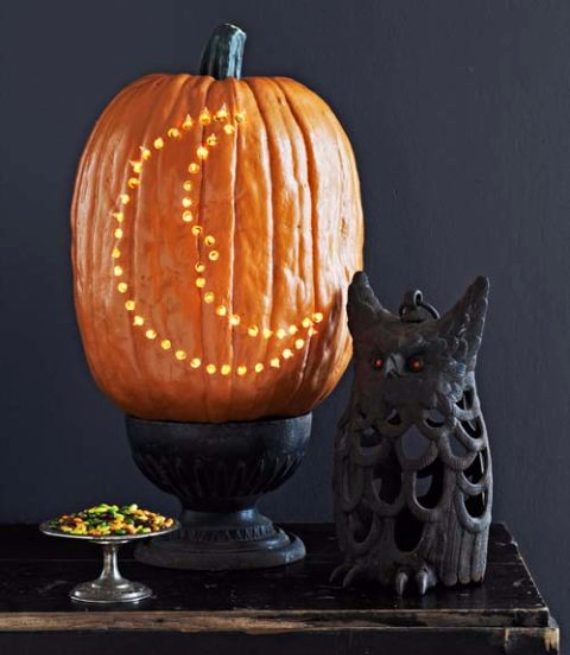 One of the most beloved traditions to decorate for Fall transforming pumpkins into creative ideas. 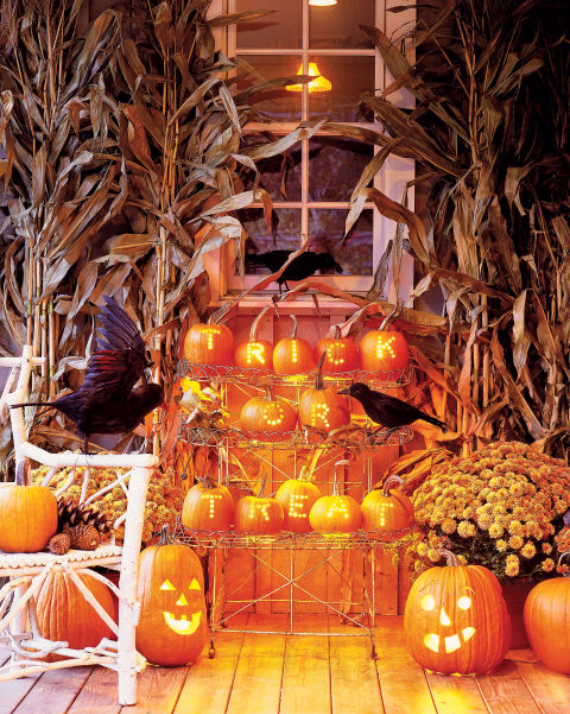 Check out our great ideas for autumn decorations with pumpkins for Thanksgiving and Halloween and try it out yourself. 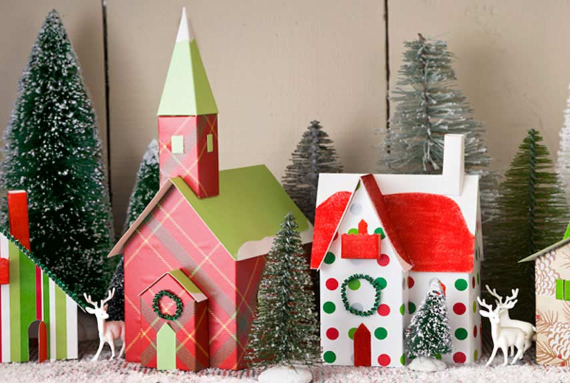 Inspiration mostly on Pinterest and some are just some awesome ideas from around the web. 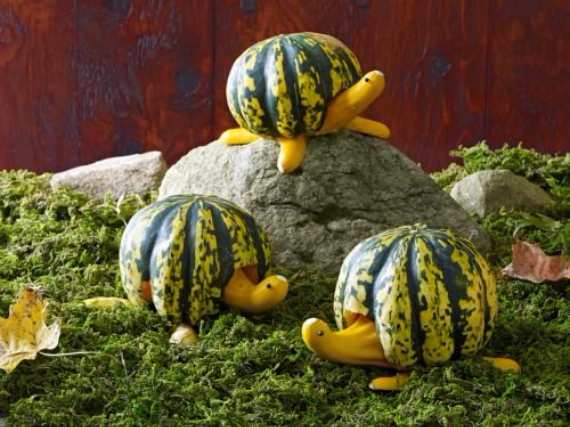 Creative pumpkin decorating ideas are many, but some don’t require actual pumpkins. 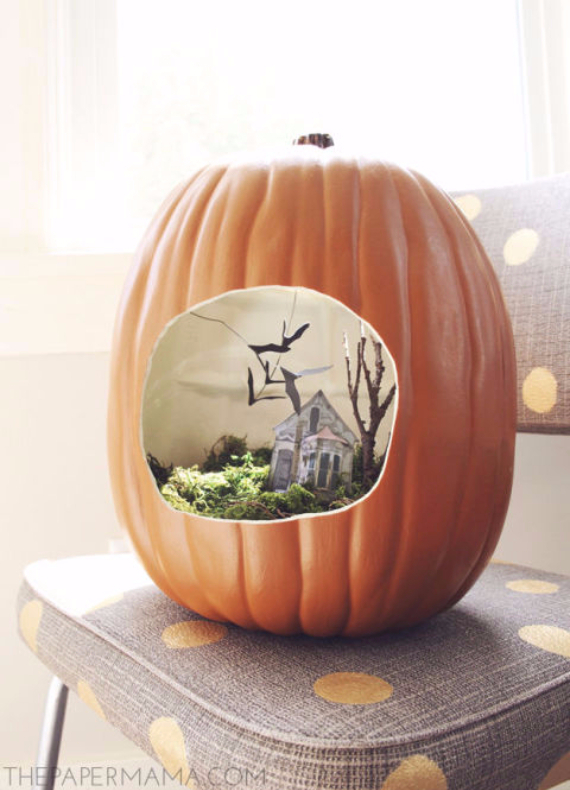 Everyone wants to find the perfect pumpkin, but sometimes you just don’t want pumpkin patch being rotting in their home plus carving can be a little messy. 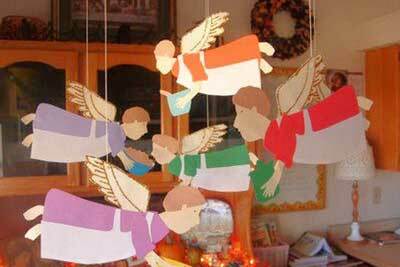 However, pumpkin decorations craft can add lots of seasonal decor with very little cost instead the real ones. 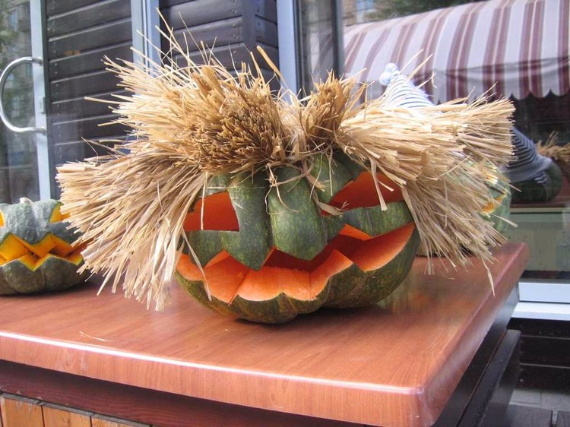 Pumpkin crafts for adults is a way putting your craft skills to work and coming up with an unusual pumpkin decorations for fall. 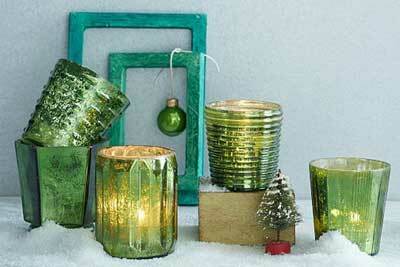 Update your home décor by using easy pumpkin crafts made of different colors, textures, materials and finishes. Pumpkin projects are easily done, just follow the links in the picture or above the photos for details of the projects. 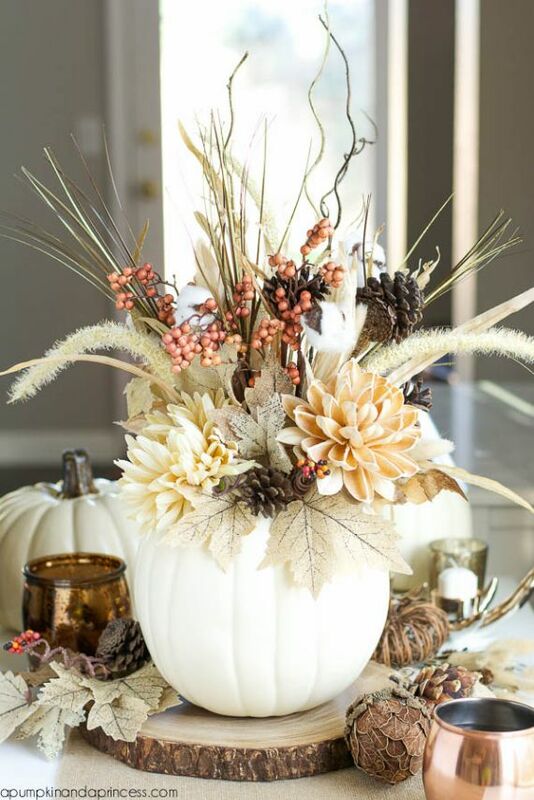 No carve pumpkin decorating ideas tutorials help you achieve your very own pumpkin decoration designs for the fall season from floral masterpieces, to holiday pumpkin designs – there’s seriously something here for everyone! 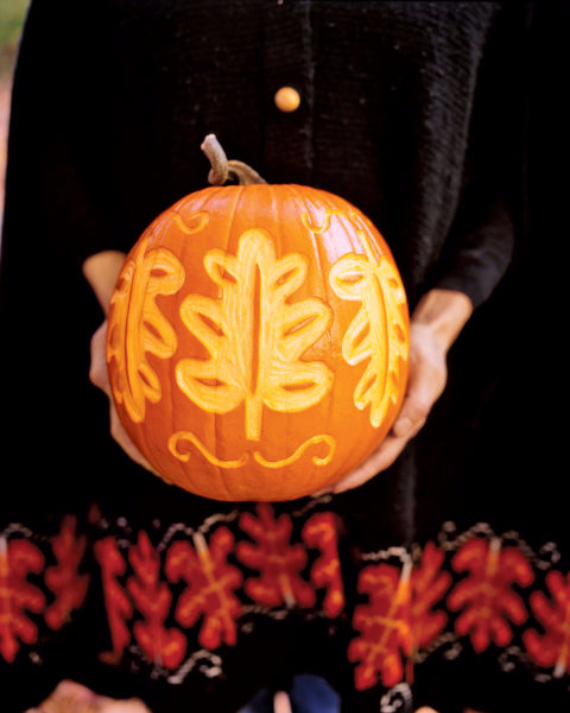 These DIY Painted Fall Pumpkin are no-carve …Pumpkin decorating ideas for kids and adults. 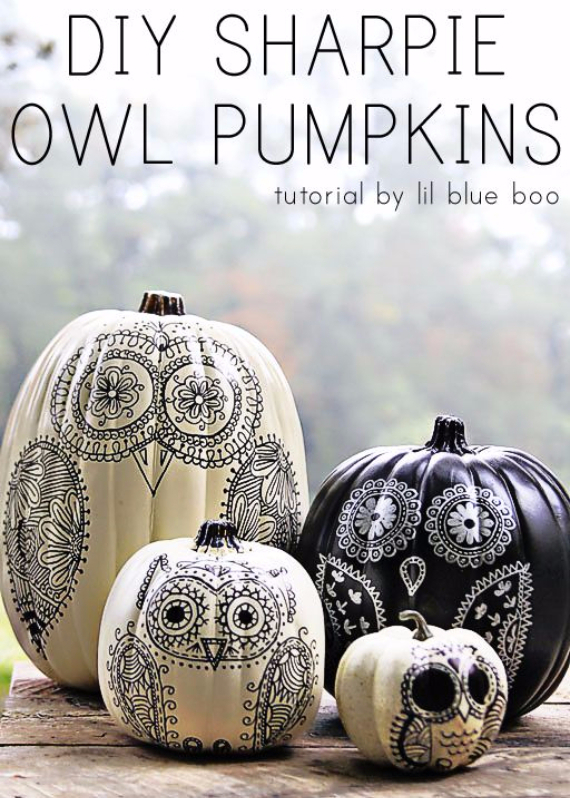 painting of pumpkins has different techniques. 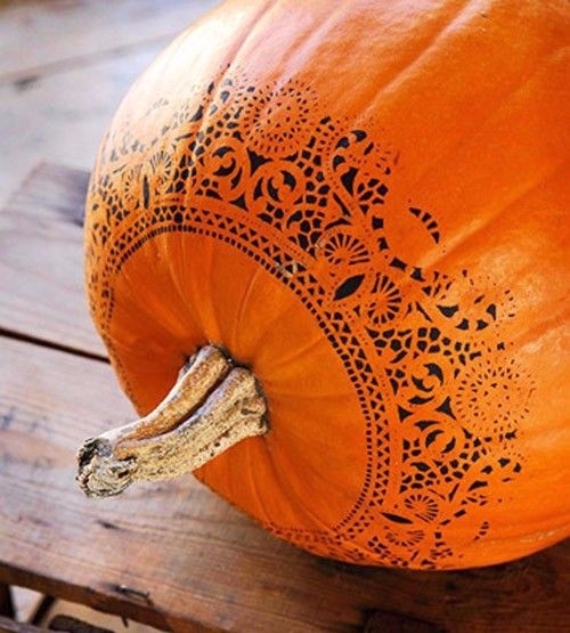 You may go pumpkin painting stencils, pumpkin painting on canvas to create creative pumpkin decorating ideas. 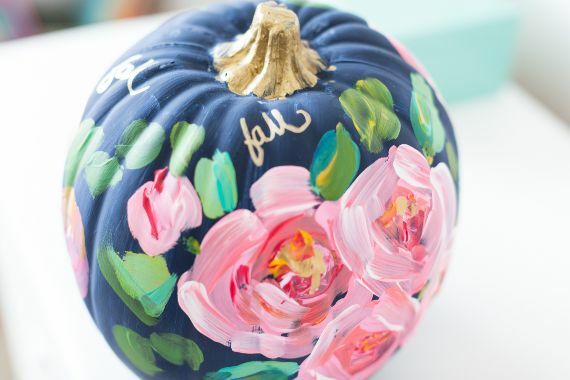 Hand-painted floral pumpkin is a new process when creating a pumpkin. 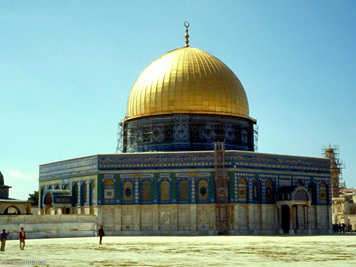 Use many colors, shape and sizes can be created. 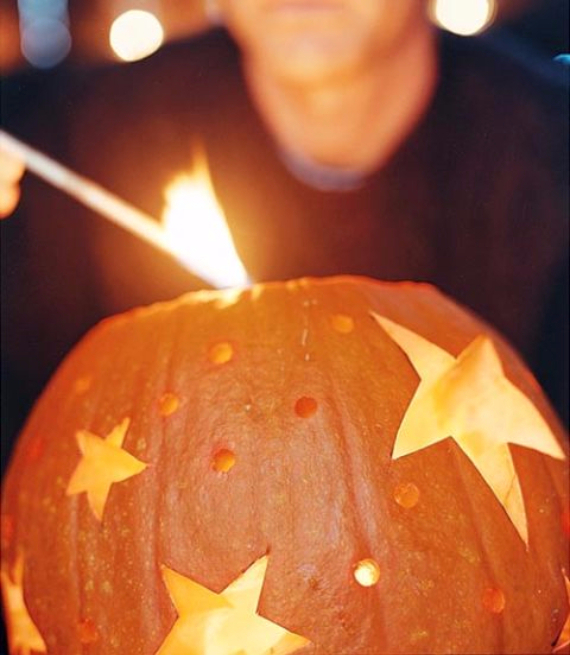 whatever you could do there are tons of ways to DIY your pumpkin. 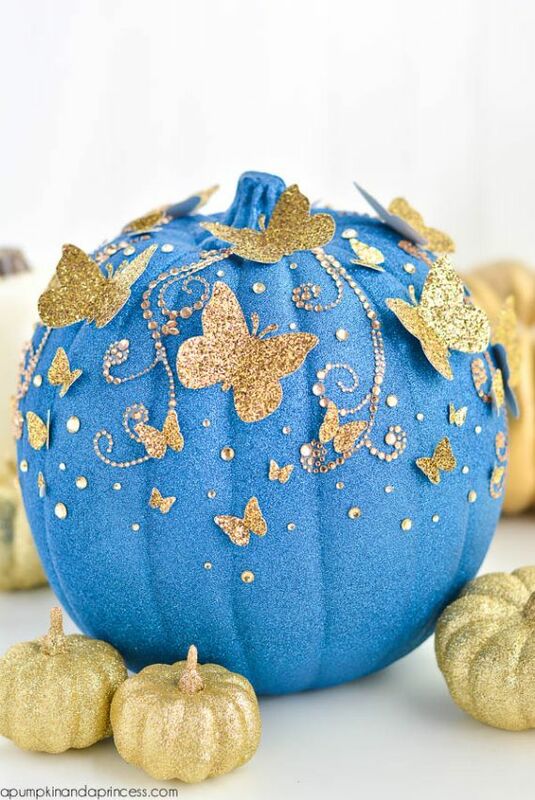 Another brilliant way is the Blue Porcelain Craft Pumpkin. 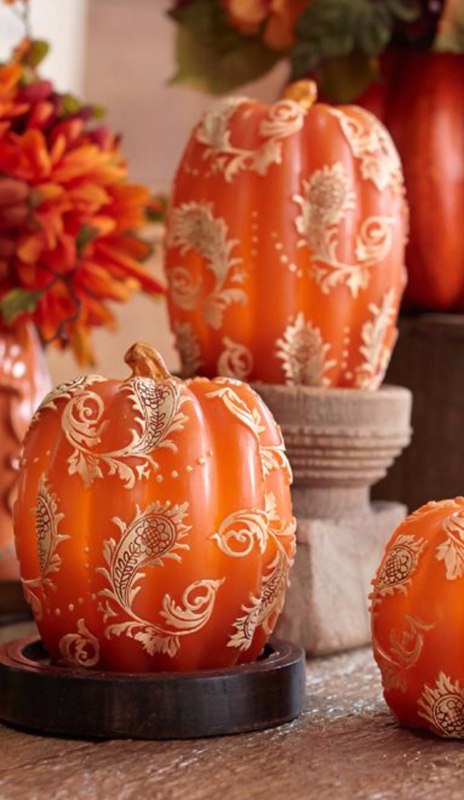 Your pumpkins will look elegant and beautiful beside your porcelain dishware. 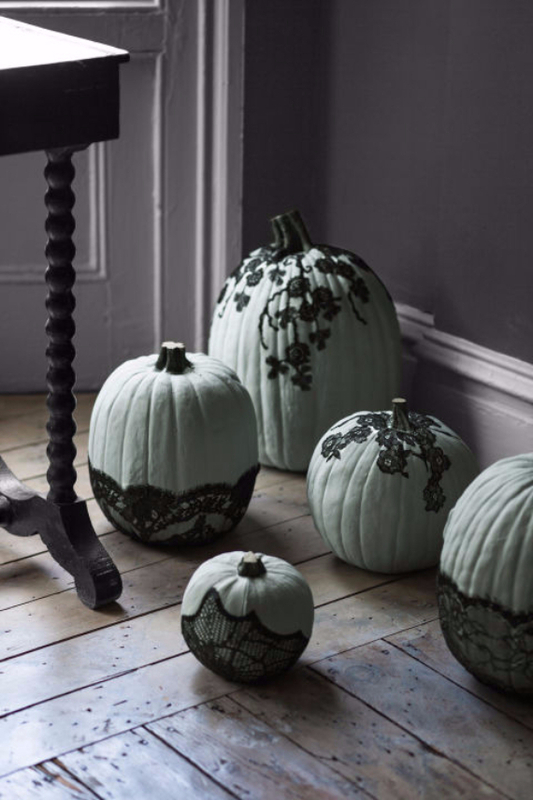 Take a cue from these intricate blue-and-white pumpkins from Bush popular which are far from traditional holiday decor and home decor pieces. 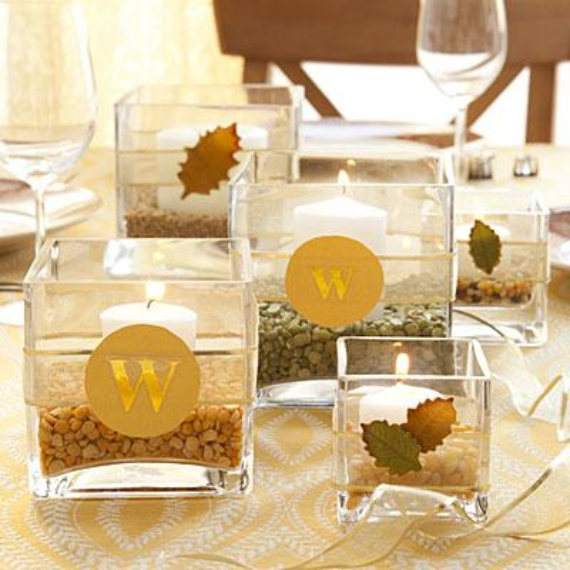 They are dreamy fall tablescape chic seasonal decor. 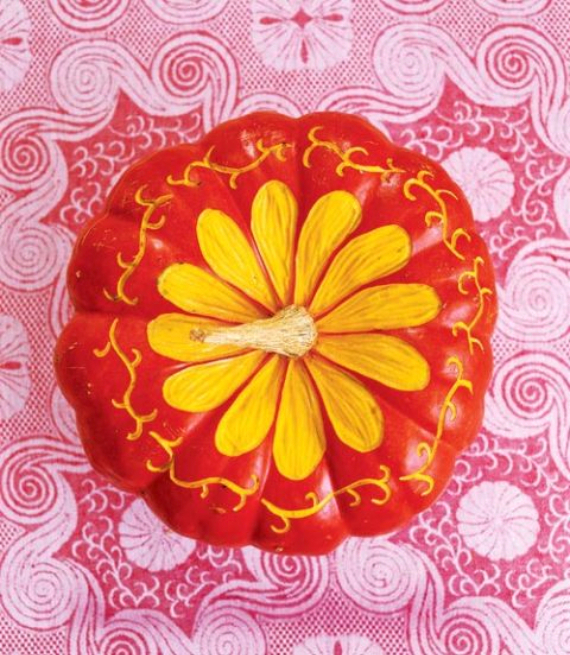 Handmade fabric pumpkins are a fun DIY fall decor sewing projects. With the use of fabric scraps -a shirt, coat or sweater from your own closet – are perfect for autumn decorating. 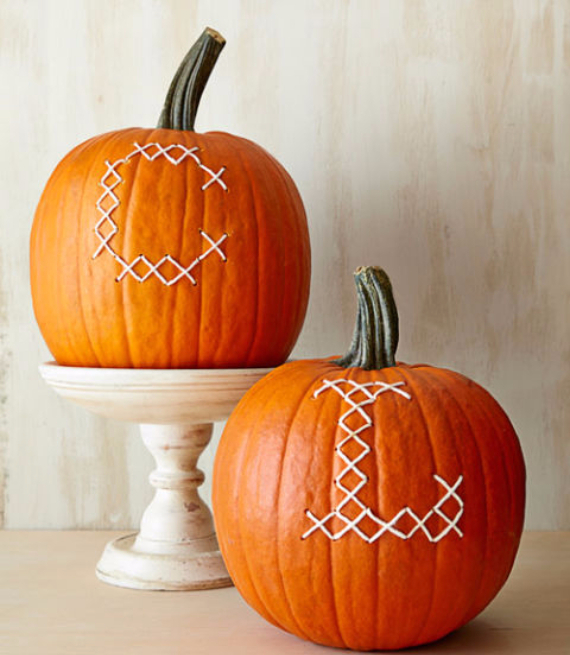 Most of these pumpkin patterns are specifically for all coming holidays; Fall Centerpieces, farmhouse Fall Decor, Halloween, thanksgiving, baby shower, Wedding Décor … for all autumn long. 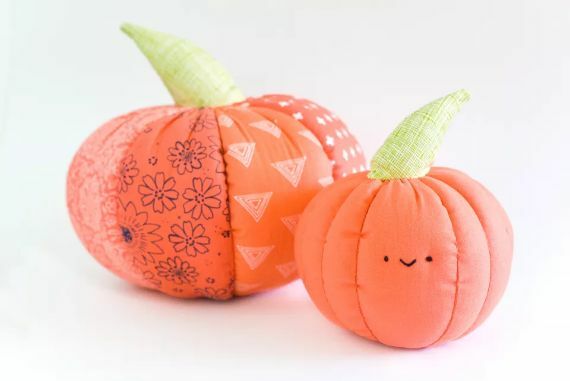 These adorable plush fabric pumpkins can be used on the table, mantle or a shelf, on the porch, bed or coffee table. 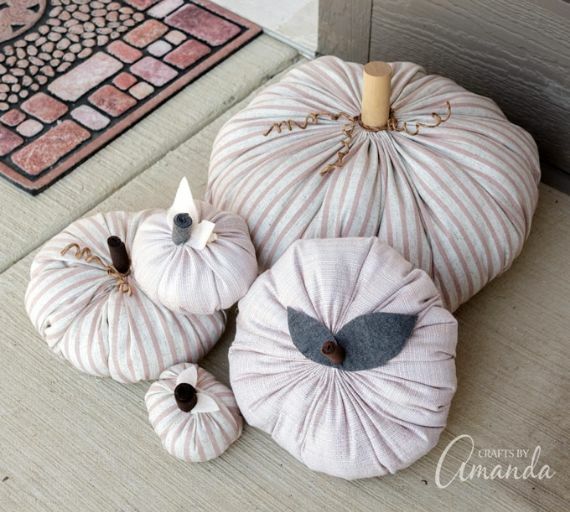 Super cute and easy DIY fabric pumpkins easy enough for beginners and can be made in fifteen minutes! 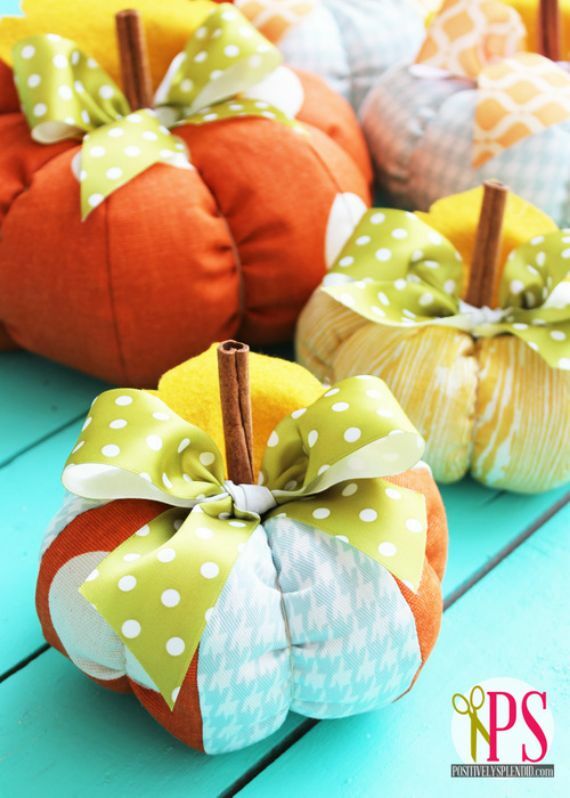 Most fabric pumpkins diy are easy sewing others are no sew fabric pumpkins no sewing machine required. 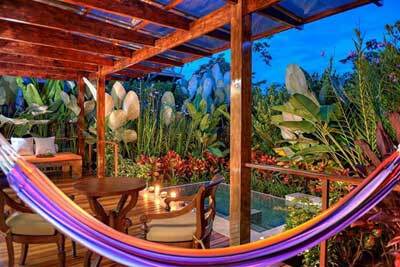 You can use any kind of fabric to match your home. 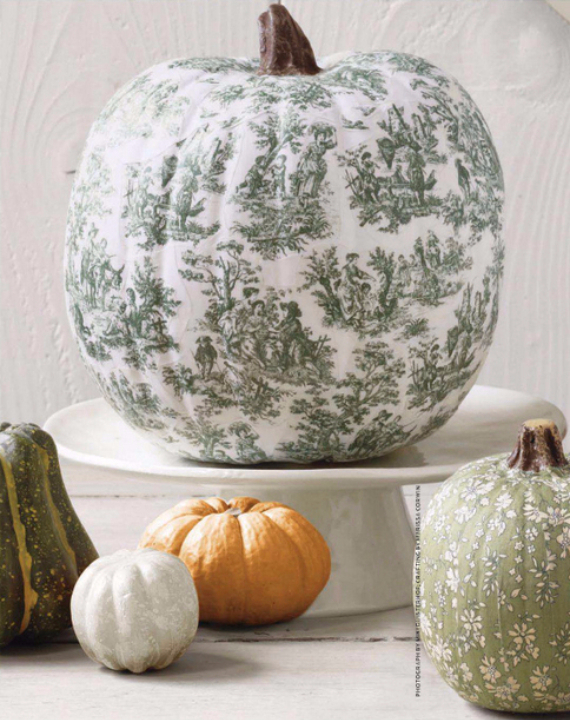 These cute fabric pumpkins are a great way to spice up your home decor just about to dress up any room. 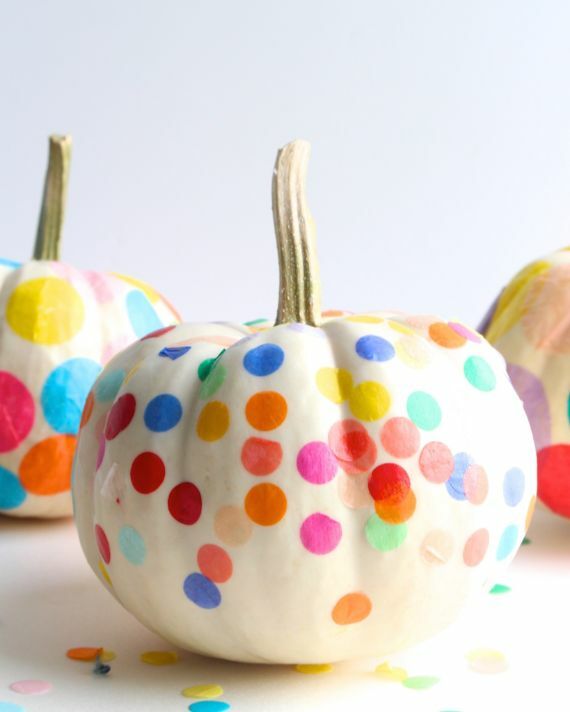 How to make DIY Fabric Pumpkins just see the links below each image with patterns to make fabric pumpkins and easy to follow step-by-step tutorial how to make these cute and colorful fabric pumpkins! 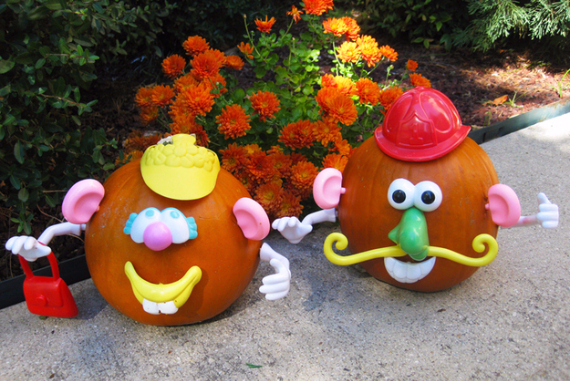 Fall is the perfect season for pumpkin decorating for kids. Mix fun and learning with these pumpkin decorating ideas for kids and so many pumpkin decorations for kids to make! 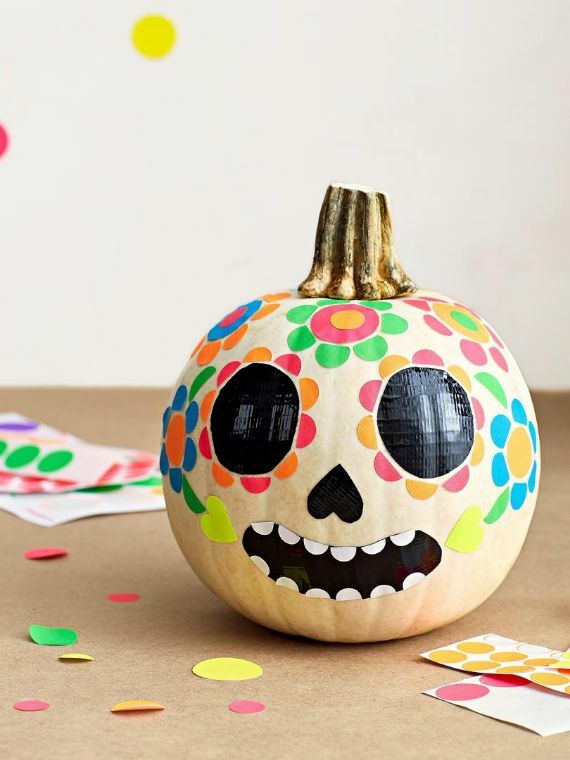 Here we share fun creative pumpkin decorating ideas to do with real pumpkins and also no carve pumpkin decorating ideas are so adorable for kids…as I always find pumpkin decorations for fall are pumpkin crafts, so adorable for kids that can add in learning elements too! Toddlers and knives don’t mix well and all that mess of pumpkin guts and seeds, so it is time to skip the traditional carving. 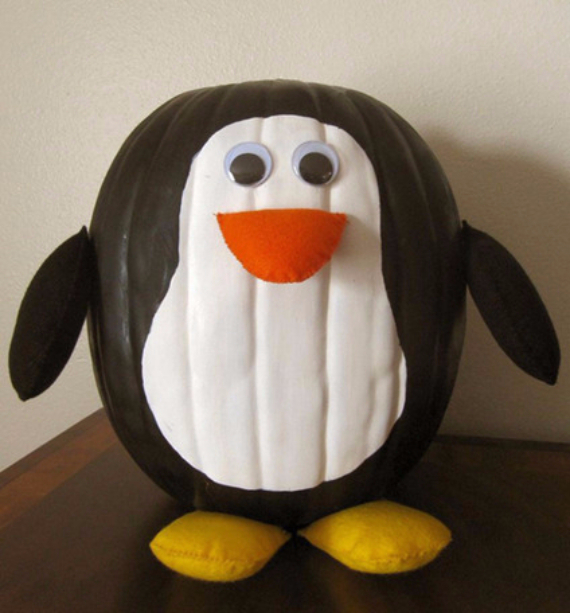 So, me as a mom I had to share these Kid-Friendly Pumpkin Decorating Ideas. 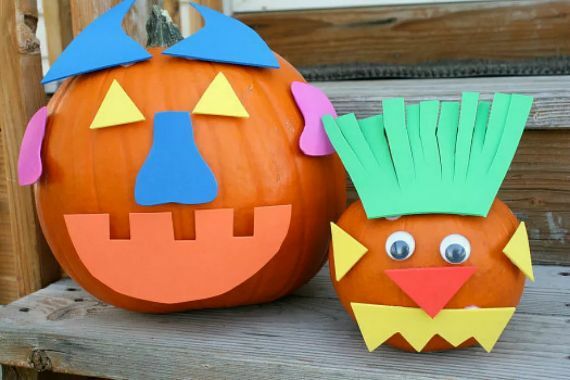 Pumpkin decorating ideas are made out of pumpkin crafts for kids mostly with no carve pumpkin ideas that looks so cute for you and your little ones to try this. 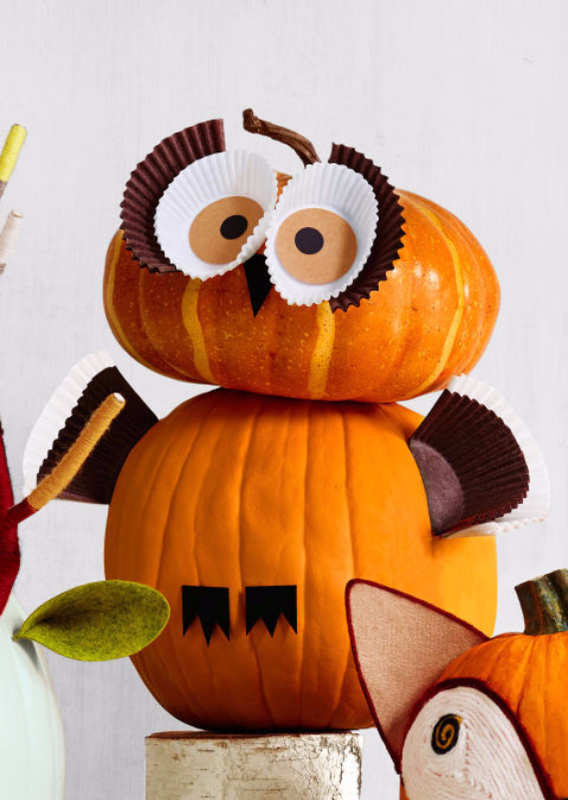 It’s the time of year that kids can learn much from creative pumpkin decorating ideas out of these kid-friendly, no-carve decorating ideas. Put down the carving knife and turn up the holidays and learn about mixing colors, counting and learning their letters by making fun decorating pumpkins with the whole family. 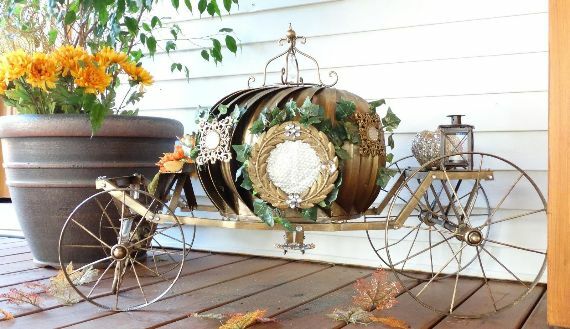 All children are well known of ferrying Cinderella and Cinderella’s Carriage; the magical Cinderella pumpkins. 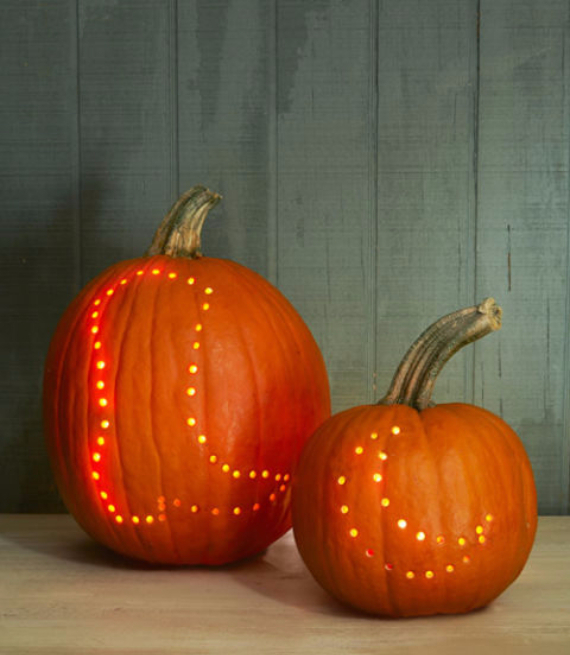 So, go decorate your pumpkin in spirit the Disney way and join in the holiday fun. 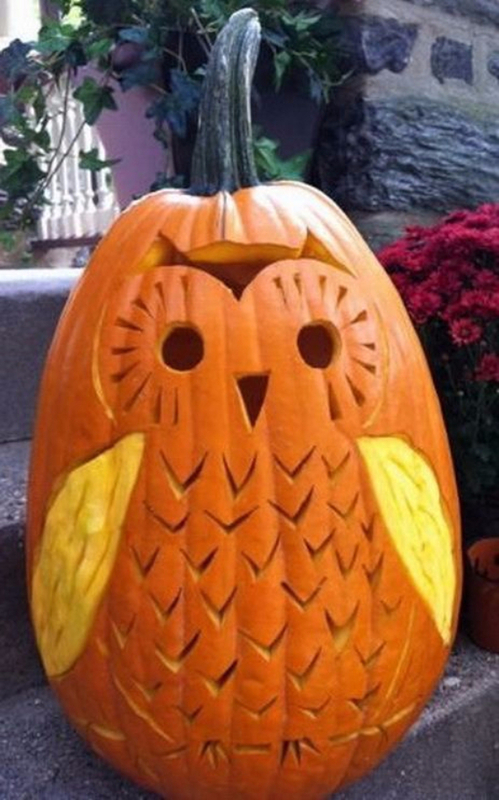 The pumpkin decorations for fall celebrations won’t truly start until you get your pumpkin decorated. 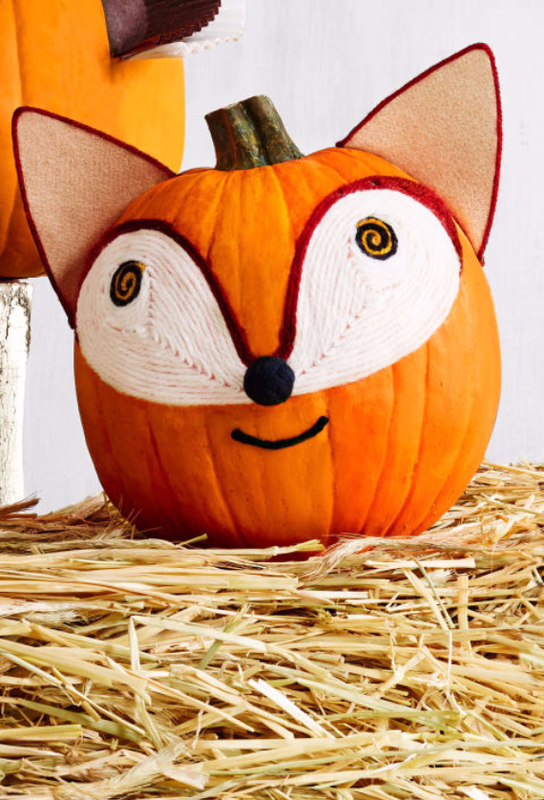 Disney family pumpkin are kid-friendly designs and new kid pumpkin carving ideas inspired by the fairy tales. 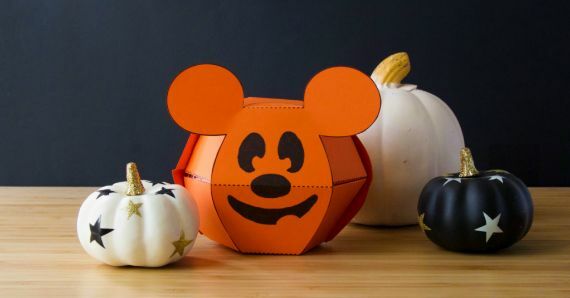 Make pumpkins that showcase everyone favorite Disney character with the Disney spirit. Disney Pumpkin Ideas include Disney stencils to print, Disney pumpkins painted and Disney pumpkin patterns to make. 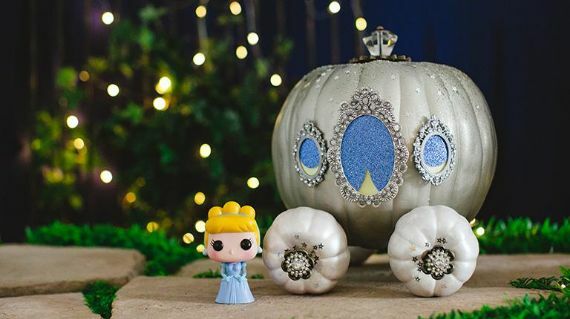 Disney pumpkin decorations are a magical makeover for the coming occasions and are sure to get all the attention for everyone’s favorite beauty. 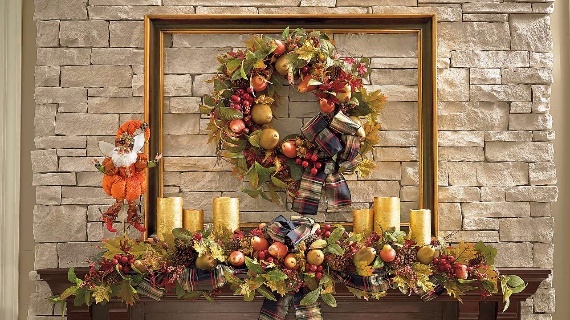 There are so many reasons we can’t wait for fall and pumpkin decorations thanksgiving to come back. Thanksgiving pumpkins has various uses cooking with them, carving them and of course thanksgiving pumpkin decorations with them. 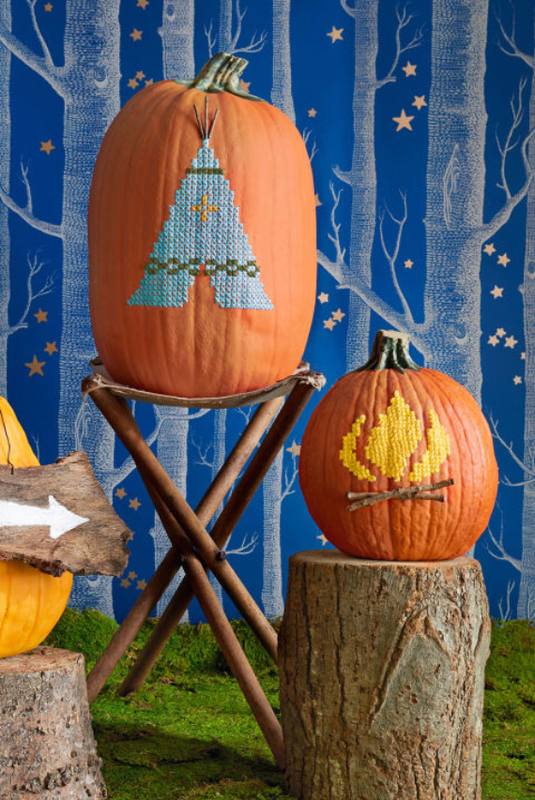 These incredible thanksgiving pumpkin decorating ideas for fall are so much more unexpected fun. 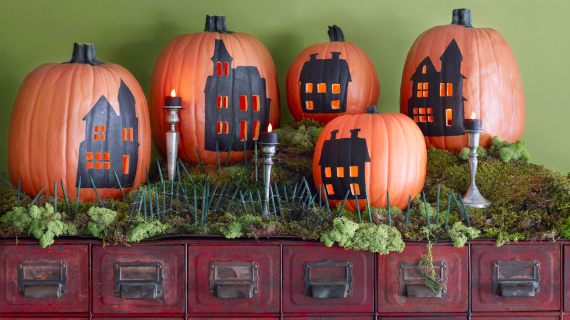 Go far than your traditional Jack-O-Lantern or plain orange pumpkin centerpieces arrangement, many displays can be brought indoors and outdoors. 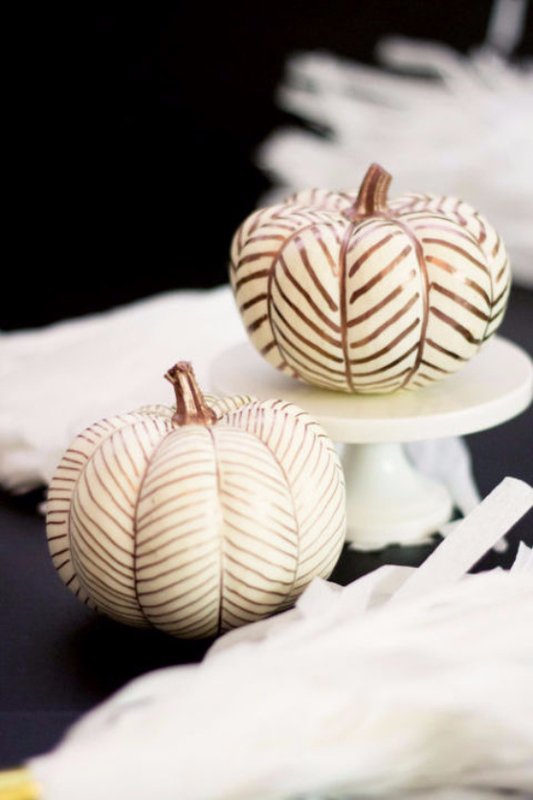 We’ve gathered creative pumpkin decorating ideas for your home décor weather it was indoor or outdoor and even for any festive occasions such as fall weddings and baby showers. 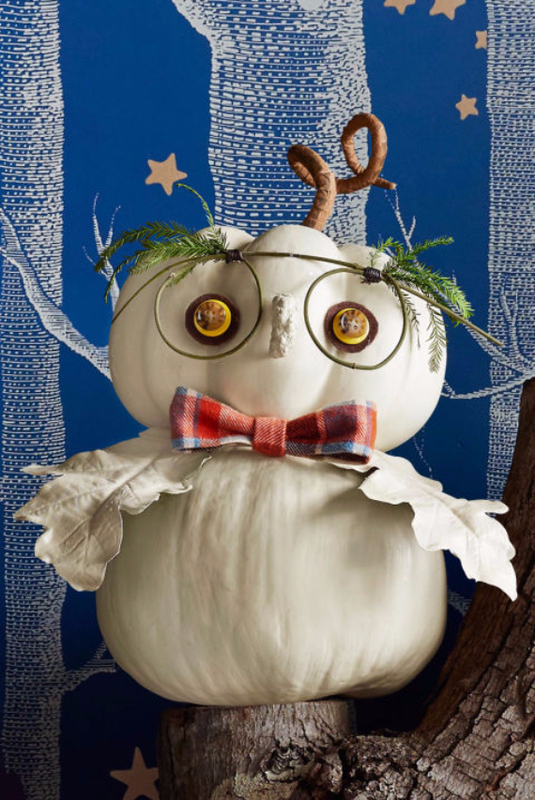 So, check out these ways to decorate with pumpkins this thanksgiving and ideas from harvest to Halloween. White pumpkins are admired by most of us than that classic orange pumpkins. 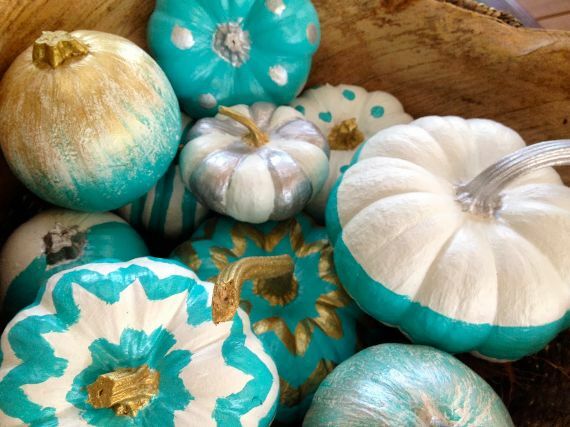 With only one color -white pumpkin- being able to bring so much beauty for some inspiring fall decor schemes. 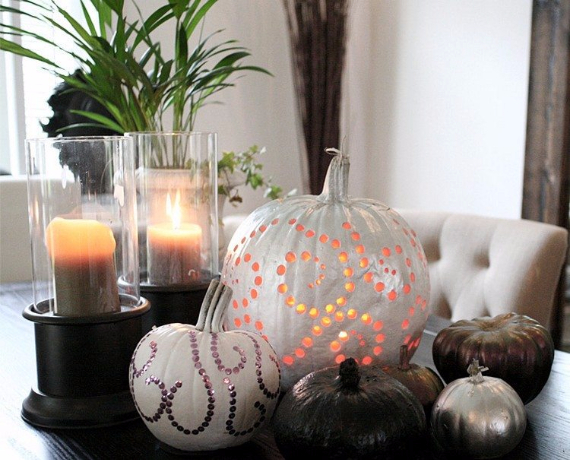 One can imagine how much white pumpkins decor have beautiful influential in autumn design. Decorating white pumpkins is a personal love. 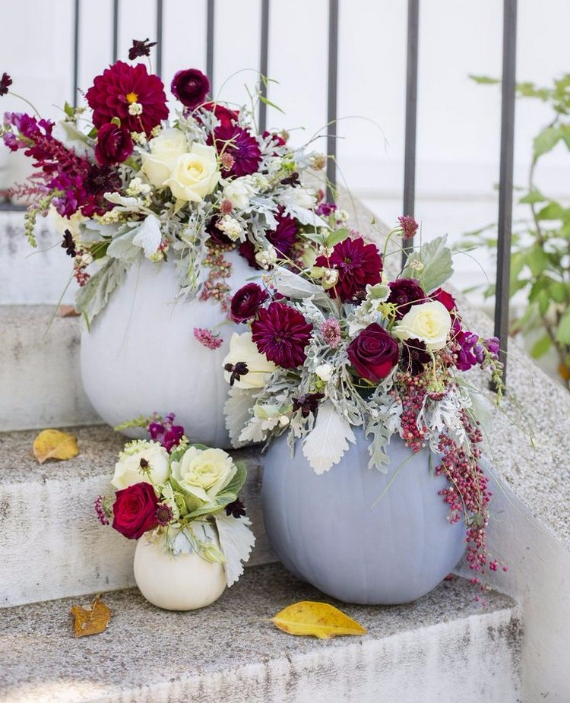 Many inspirations of how to use white pumpkins in your fall décor weather it was white pumpkins for centerpieces, white pumpkin centerpieces for a wedding, white pumpkin decorations Halloween and even white pumpkins for birthdays. 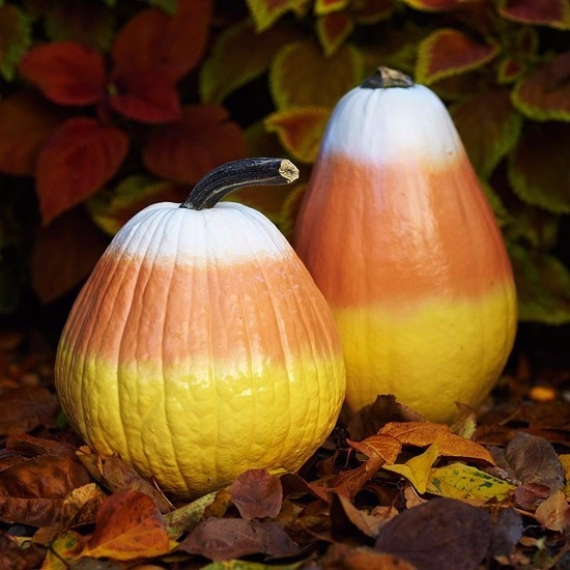 White pumpkins can be combined with other colored pumpkins as blue and white pumpkin decor, black and white pumpkin decorating ideas and the most popular the white and gold pumpkin centerpieces. 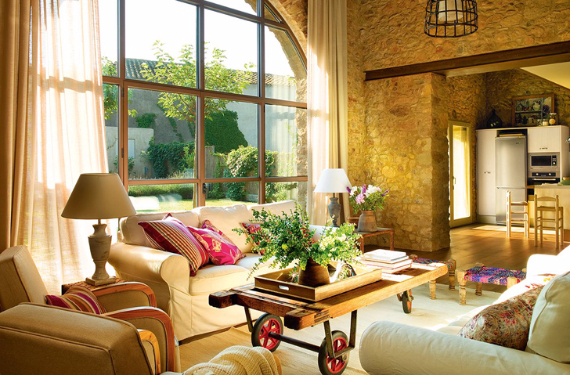 Feed your imagination and start decorating, embrace fall with all its beauty in style and simplicity alike. 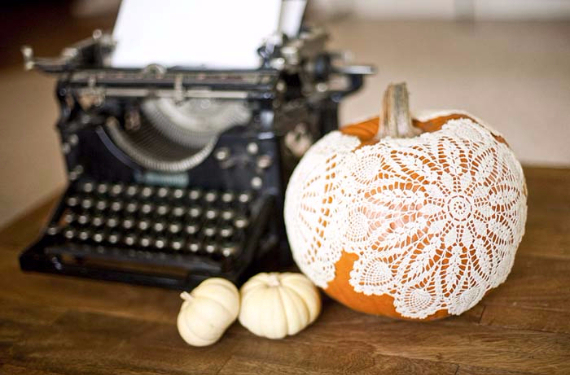 We’ve gathered a collection of Charming White Pumpkin Fall Decorations which have been handpicked to achieve the same look in your home both inside and out with the use of white pumpkin ideas. 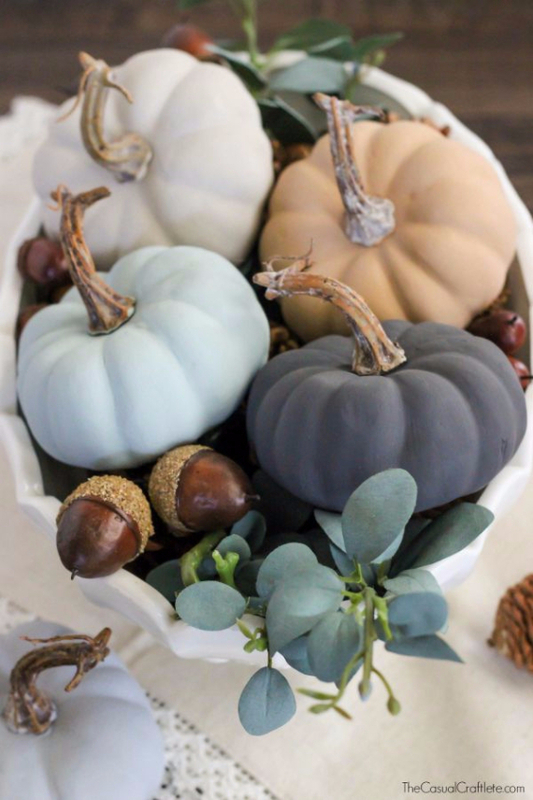 Using white pumpkins for decorating are natural elements to add a more rustic effect and offer new options for color schemes. 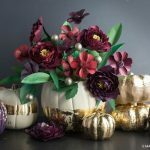 Use these decorated white pumpkins as your inspiration this Autumn, they can make great white pumpkins with flowers, a classic Halloween light, a unique white pumpkin centerpiece, white pumpkin table decor and more. Let’s face it. 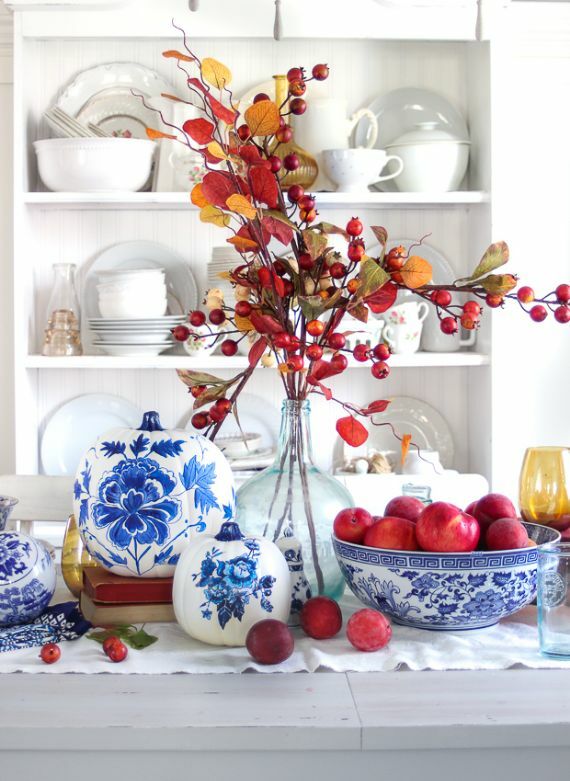 If there’s just one place of the house to decorate and make it eye-catching up for the coming holidays, it’s the dining room table. Because pumpkins are a staple of autumn it is wise to decorate your holiday table where everyone will eventually gather and have a family time. 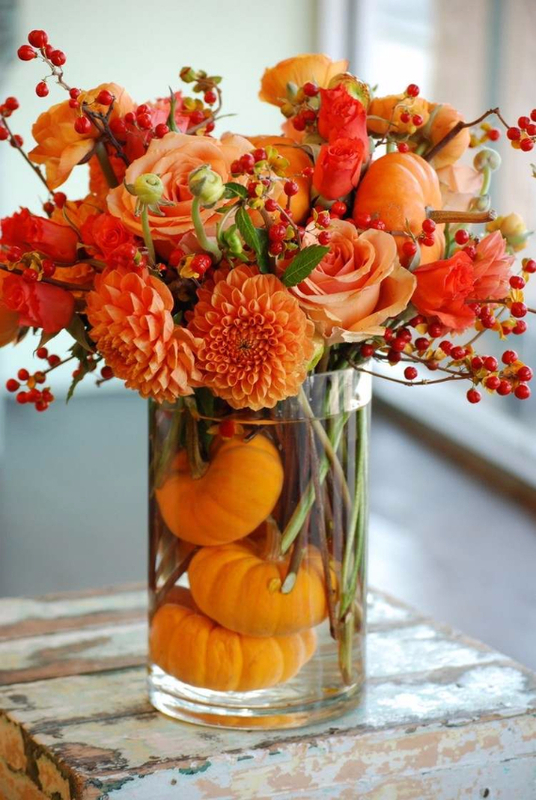 So, it’s essential that a lovely pumpkin centerpiece brings a bit of autumnal charm. Pumpkin matches the colors of many fall leaves and it is about to focus their companions with other fall natural elements. 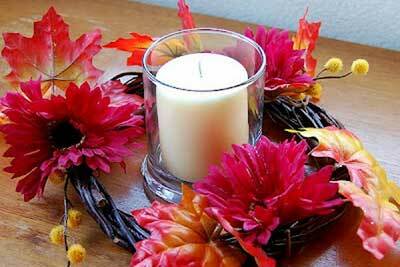 So, what is more appropriate for anytime between Halloween and Thanksgiving table than pumpkin centerpiece ideas. 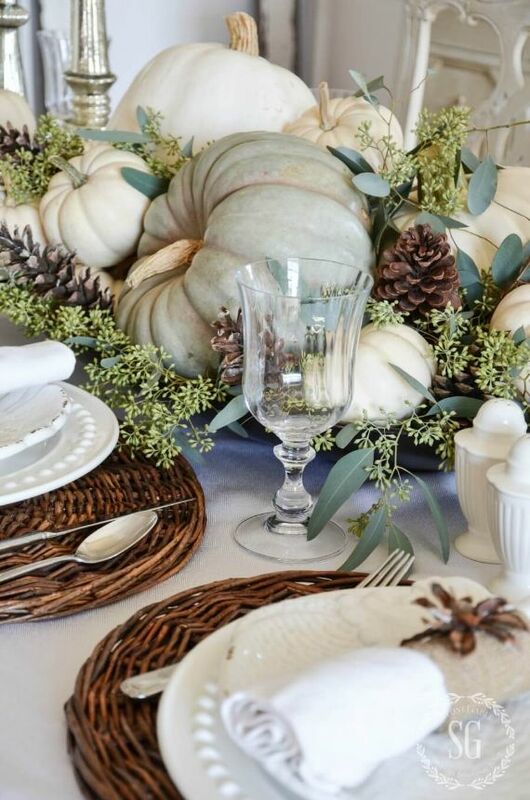 With many color pumpkin centerpiece ideas out of our traditional or classic orange pumpkins as gold pumpkin centerpieces, blue pumpkin centerpiece and white pumpkin table centerpieces offer new options. 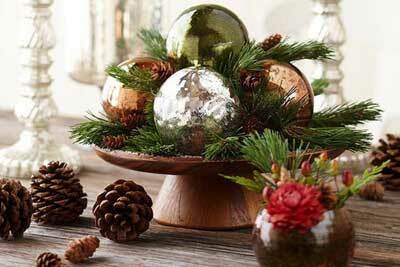 Make great pumpkin table centerpieces enjoyed by everyone at the holiday table. Pumpkins are extremely versatile in their uses especially in ways to decorate for Fall, Halloween and Thanksgiving. 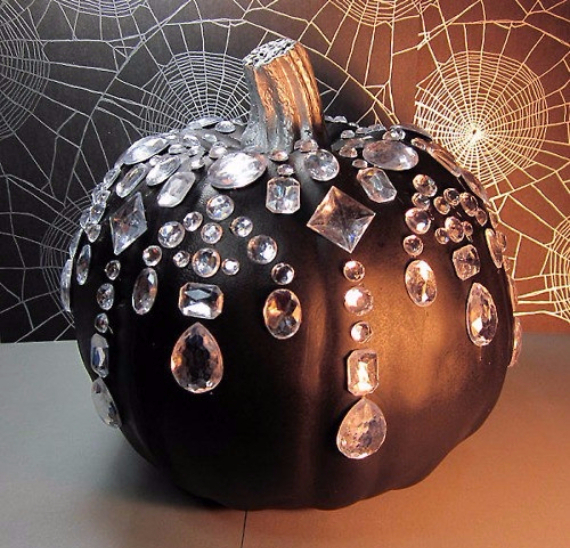 Another way to incorporate pumpkins in non-traditional colors you can always paint it or top it with glitter to make your centerpiece or tables cape unique. There is so much more to do with them they can sit at many angles that It can actually make a beautiful view. 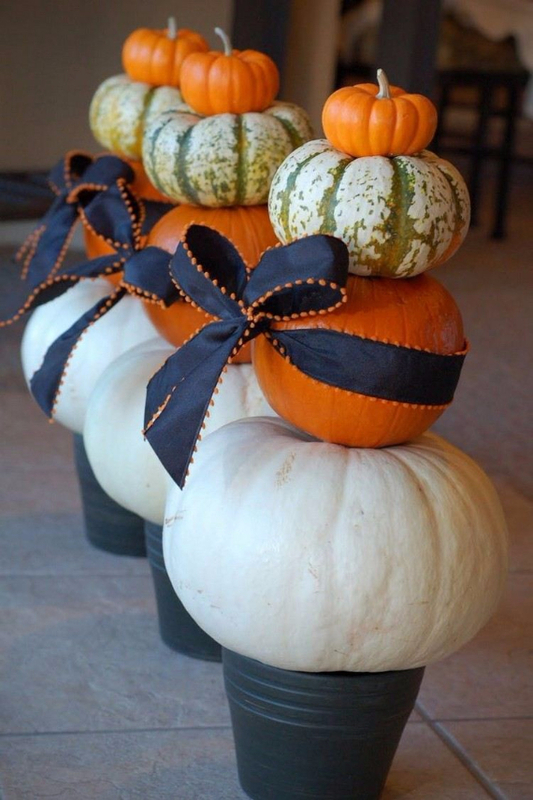 Use these images below of pumpkin centerpiece ideas as your inspiration for fall wedding centerpieces, pumpkin centerpieces for birthday, Halloween centerpieces and even more the options are endless. 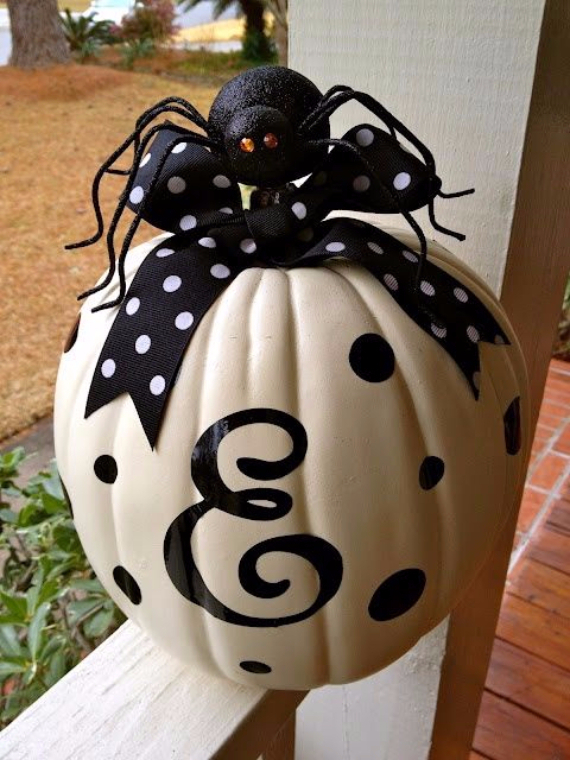 Fall is all about pumpkins patch and carving your ghoulish gourd, but if you are looking for no carve pumpkin decorating ideas and more permanent ones to keep your decorations years to come, check out these faux pumpkin decorating ideas. 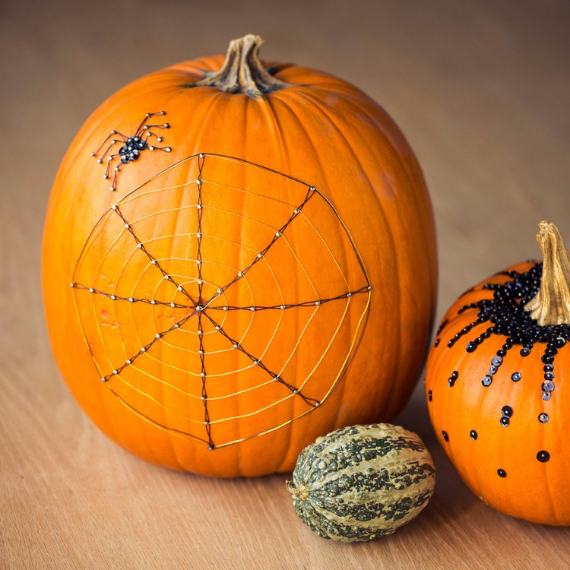 Pumpkin decorating for kids using No-carve pumpkins are a great seasonal project that last much longer. 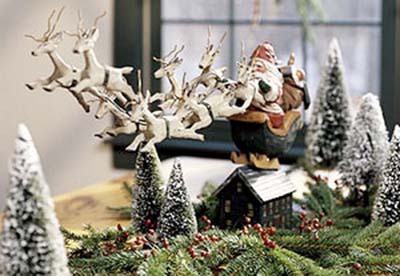 After all, these fake pumpkin decorations aren’t exclusive to Halloween, and with a plastic pumpkin decoration, paper pumpkin decorations, or even wooden pumpkin decorations alternatives, you can keep these in your home well after Thanksgiving. 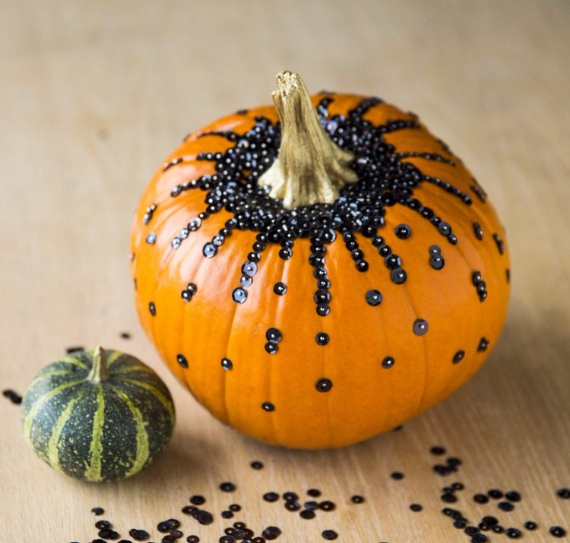 Decorating fake pumpkins is an option of serious endless ideas, tons of DIY pumpkin decorations without actual pumpkins with gorgeous display and skipping the muss and fuss of real pumpkins. 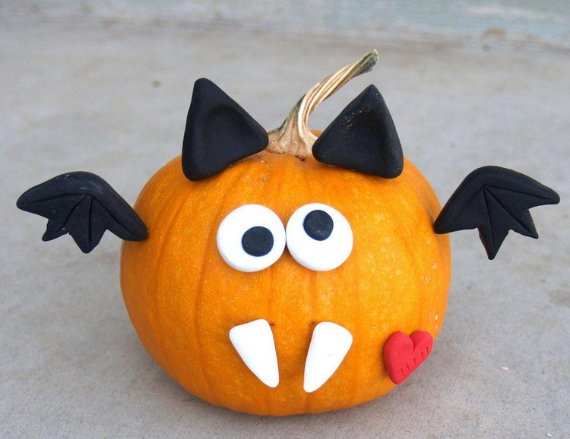 DIY pumpkin decorations are many imitations that mimic the fake pumpkin decoration. 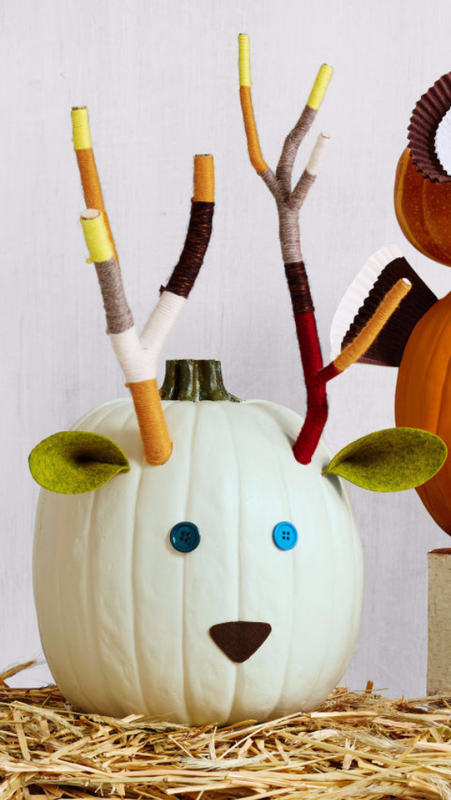 So, let’s look at some pumpkin decorations made without actual pumpkins that will elevate your Fall décor. 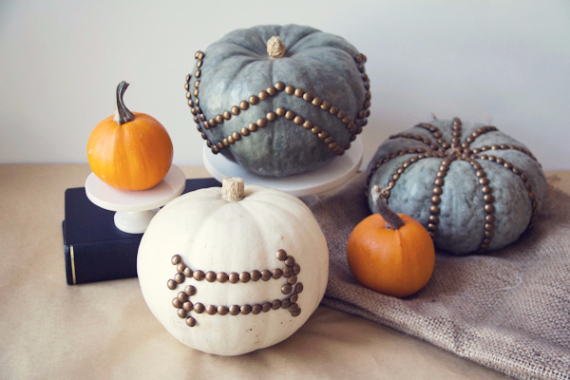 DIY pumpkin decorations using faux pumpkins doesn’t have to be difficult or expensive whatever your style is. 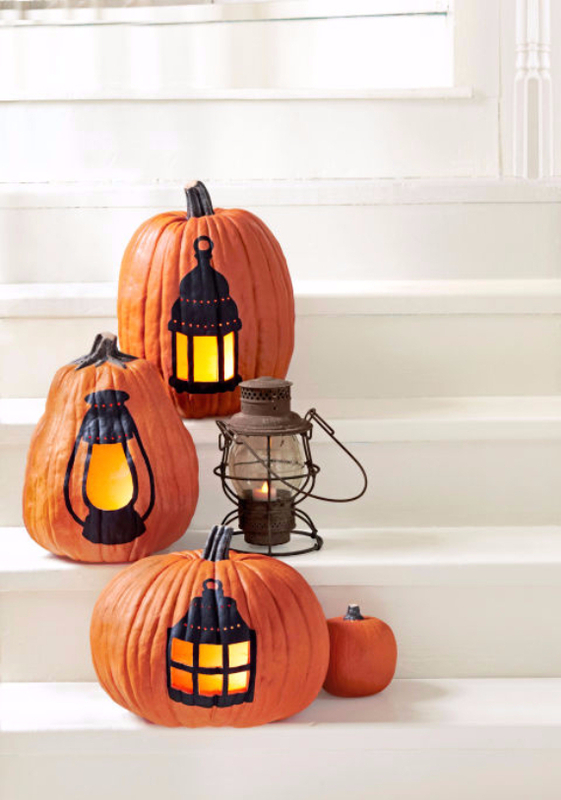 Each of these styles uses faux pumpkins to dress up your Halloween and Thanksgiving decorating style. 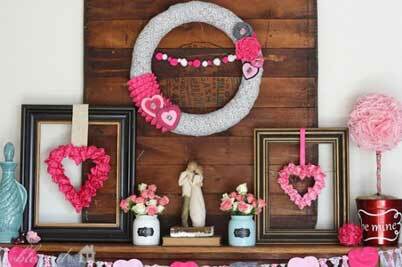 Just take a look at these easy DIYs with links. The pumpkins may be mini, but mini pumpkins have their charm, they’re so wee and cute. 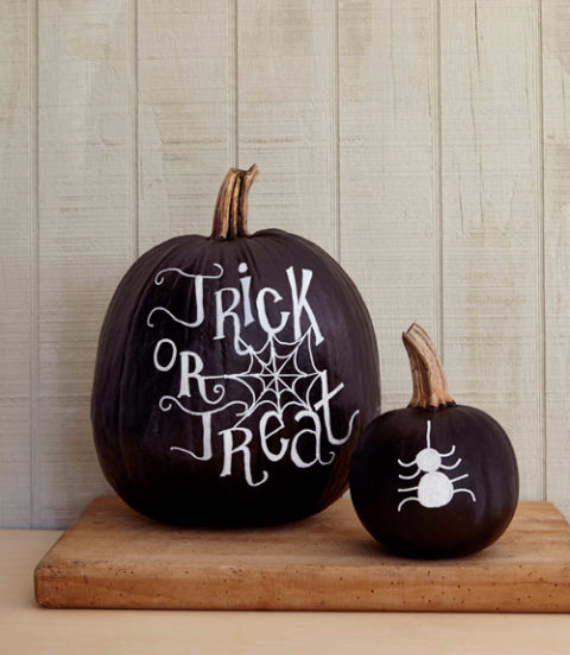 Mini pumpkins can serve as decorations elements just as they are, without needing any extra help. 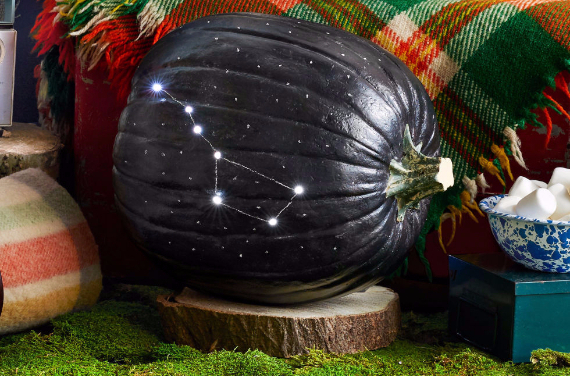 So, don’t let big pumpkins have all the fall decor fun. Mini pumpkins when no carve pumpkin decorating ideas are served, have many varieties and loved by toddlers. 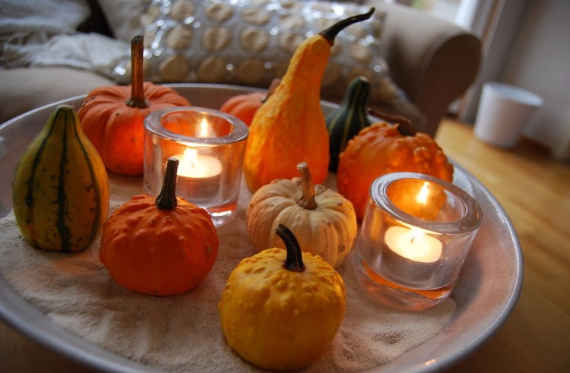 Create easy, inexpensive autumn displays with easy mini pumpkin decoration ideas to liven up your home all season long.